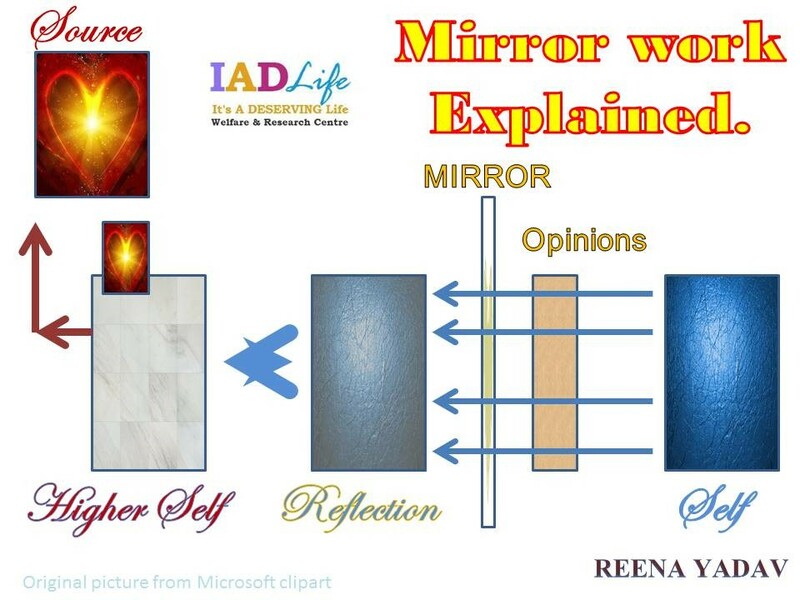 Booking for Mirror Work sessions and workshop in IADLife can be contacting us directly. 1) The mirror has to be clear and your eyes have to be clearly seen. 2) Stand in front of a mirror, bathroom mirror, bedroom mirror, shaving or vanity case mirror. 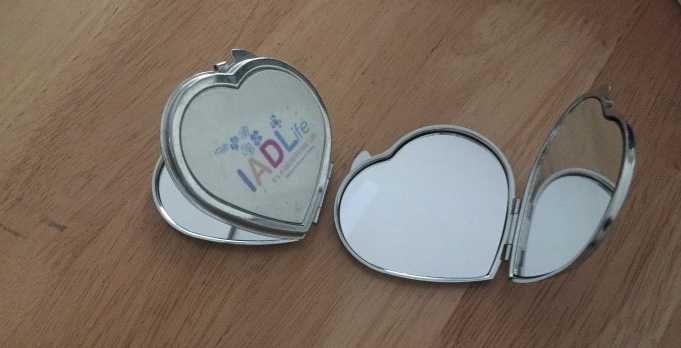 You can choose to purchase an IADLife mirror which is heart shaped and is pocket size. 3) Look into the mirror. Take three breaths. Look into your eyes briefly and greet yourself like you would a friend. Then start a conversation and share. Listen and make note of the messages. 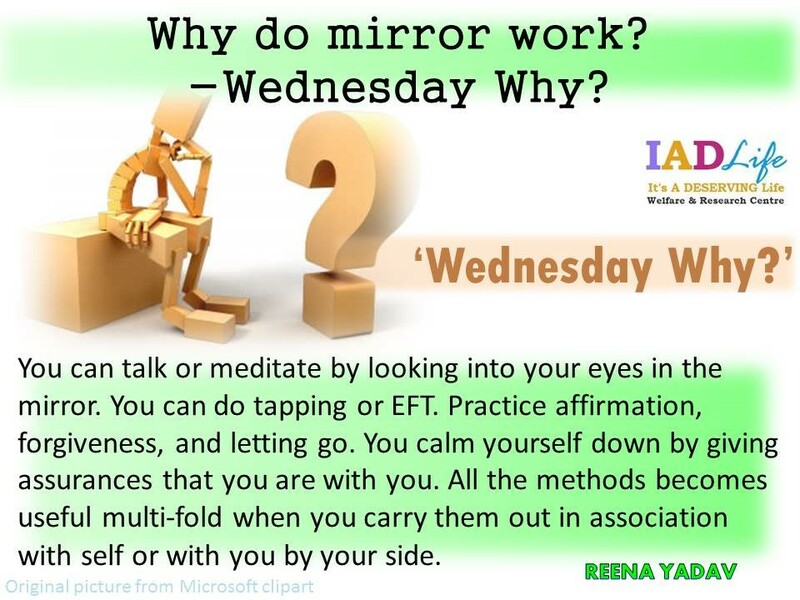 We also conduct the Louise Hay mirror work 21 day WhatsApp course. These are brief description created by Reena Yadav from IADLife. This information is enough to get you started. This field has vast and plethora of information that can be attained from other sources.